I have recently been to India, a wonderful country, and I was wondering which book to bring back that would somehow represent the country. Then I saw this book and I thought that nothing better could come home with me. I feel kind of guilty in reviewing this book and that's why this post is coming after actually a week I had finished it. What to say? And most of all where to start! Being in India I had to face a weird truth that I was completely ignoring: not everybody likes Gandhi! As simple as that. This news kind of shocked me, how can you not love a person that freed your country from repression? I was told "read the book and you will understand!". So as soon as I came back I started it mostly for a principle of contradiction. I was expecting to find the reasons behind the great peaceful battle, the principle of it, the portrait of a "holy man" that somehow was destined to become the Mahatma (big soul). I disappointingly didn't find any of this in the book. From the first pages you find a troubled man that is looking for his way in life. A man in the constant look of the satya (truth) through tries and fails. I was shocked to realize Gandhi was very "human" and full of mistakes. He did not respect his wife, didn't find any God for many years, had prejudices and faults as any of us. But what I really didn't like in the book was the "story" itself, I think it is wrong to call it an autobiography, 'cause it really isn't. And maybe the main title was suggesting it. I wanted to know more about his battle, his struggle but the book is more about his trials with food and medicine, his fight against civilization and western culture. 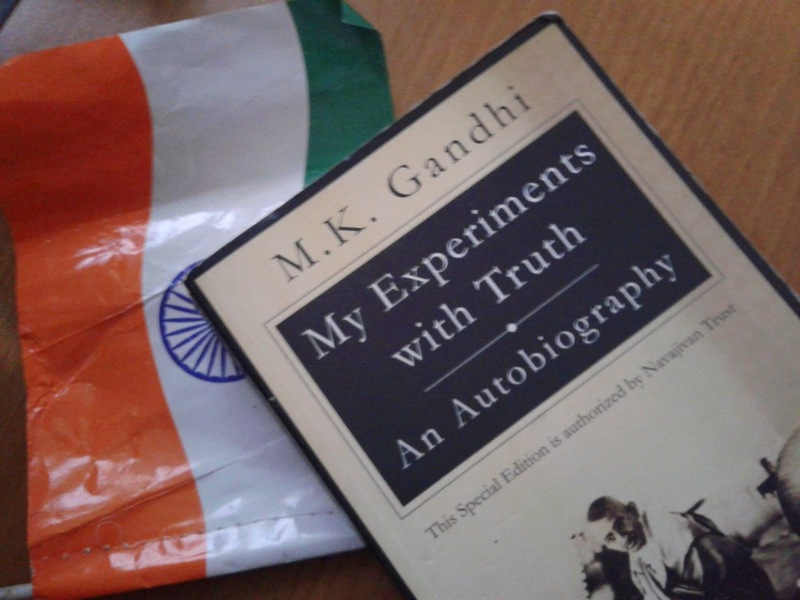 The writing was a bit (if it was not Gandhi, I would probably say, quite) boring and I really didn't like the way in all the book he was trying to preach his truth as a teacher. Well, it was just not the book for me. And I am sorry.